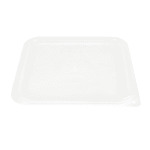 The Cambro SFC6SCPP190 Camwear® Camsquare® storage container cover is made of polyethylene to minimize staining from acids and oils. 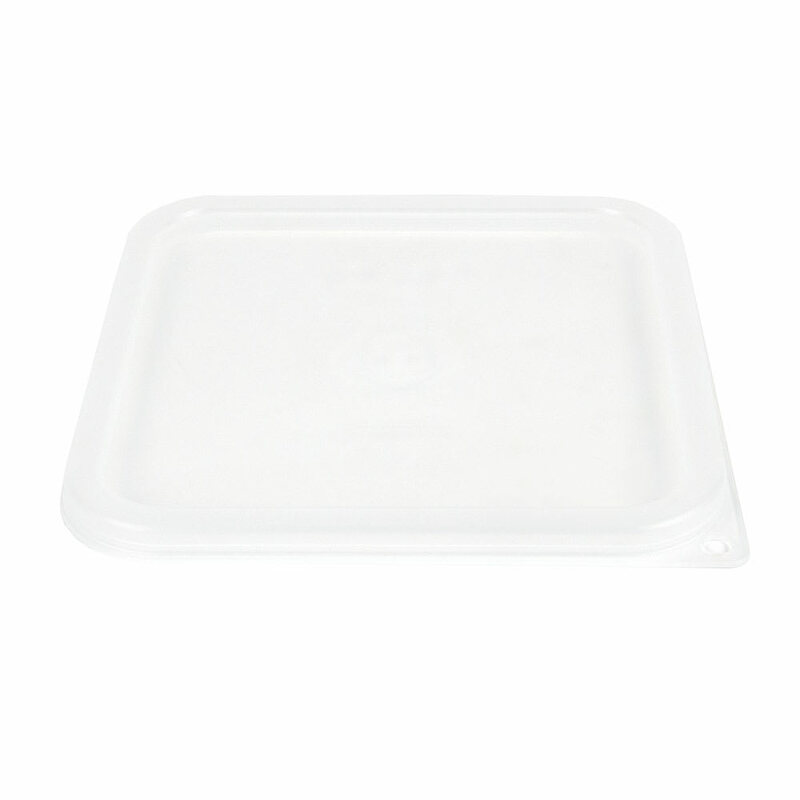 Since the lid is a translucent material, the user can partly see container contents. It can be hung for storage or drying with a hole on one of its corners. It is safe in temperatures from -40 to 160 degrees Fahrenheit and has an inner and outer seal to provide a secure grip on Camwear Camsquare containers only. Want to know more about food storage containers? Check out our food storage containers guide. "They should come in all the colors of the rainbow"
"They do not fit 6 qt only the 8"